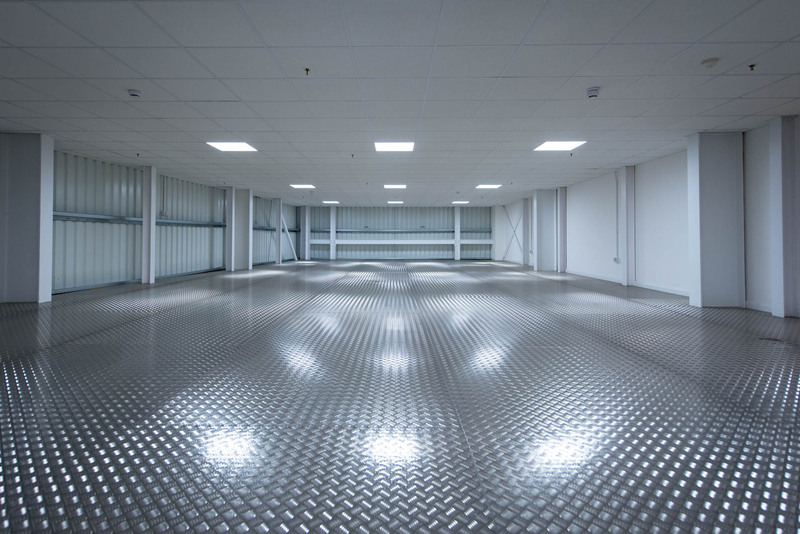 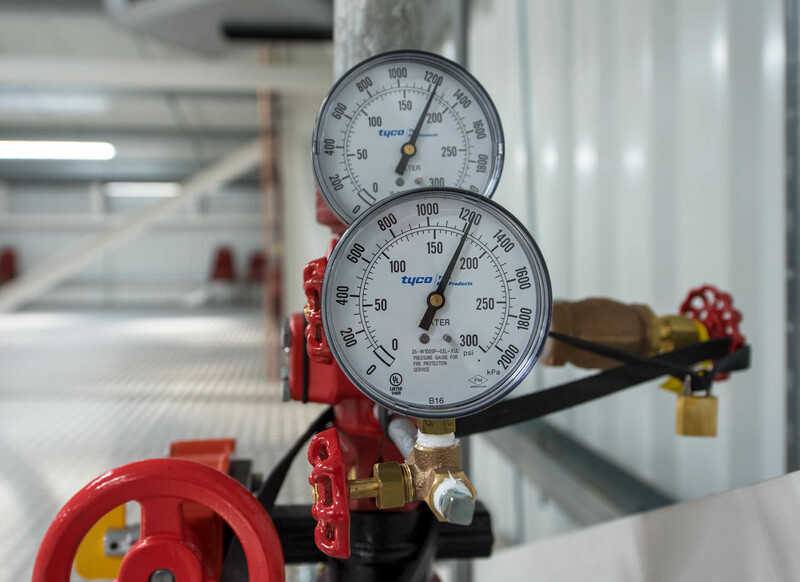 The success of Studio434/1 as a storage facility for outside clients has prompted a £7 million investment in this vast, brand new state-of-the-art 200,000 square feet storage facility. 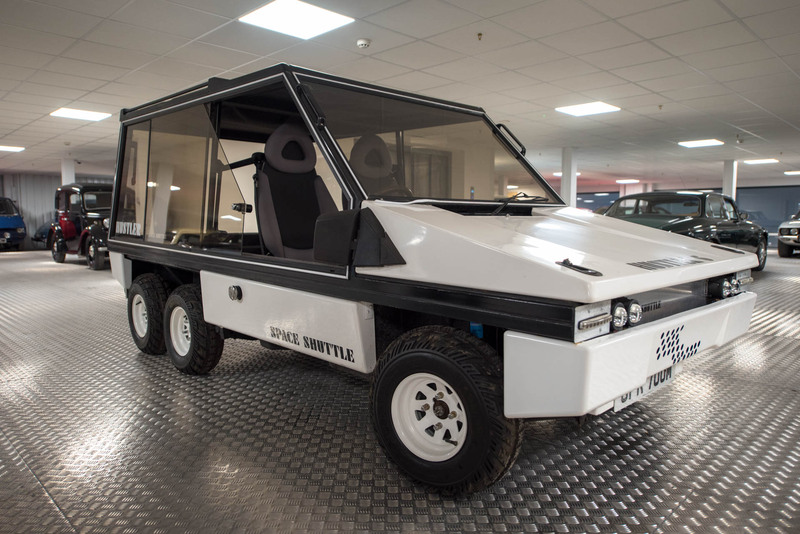 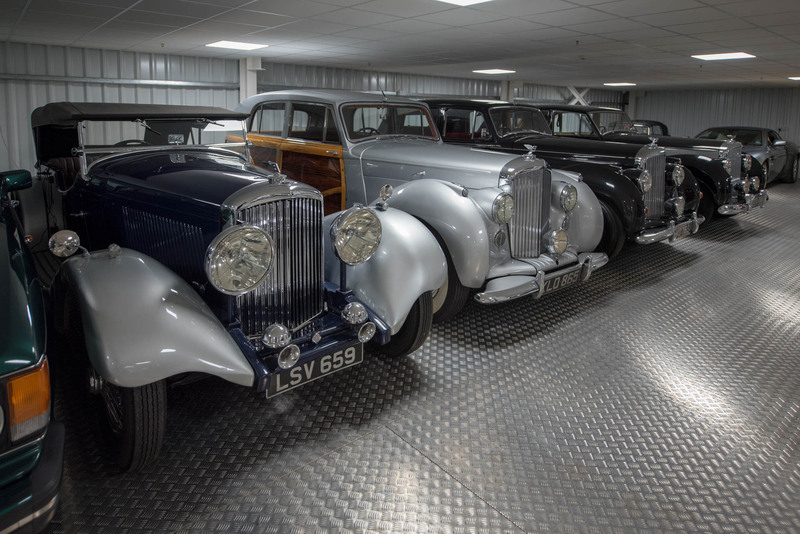 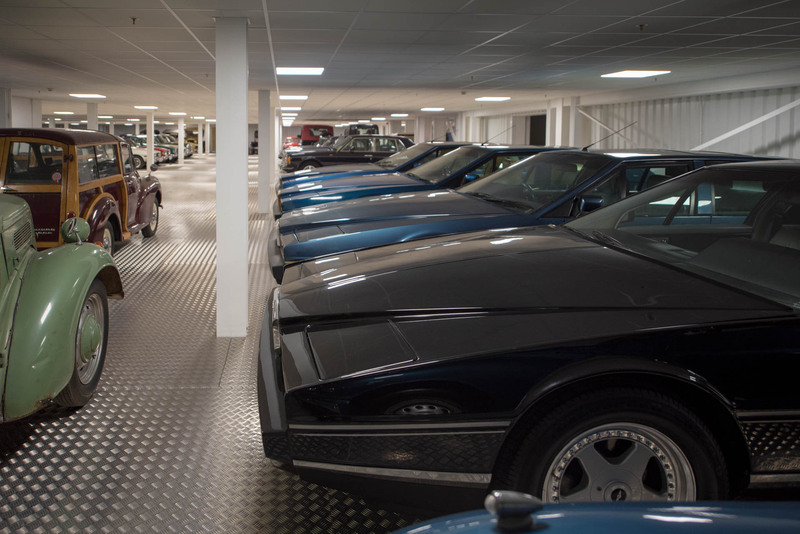 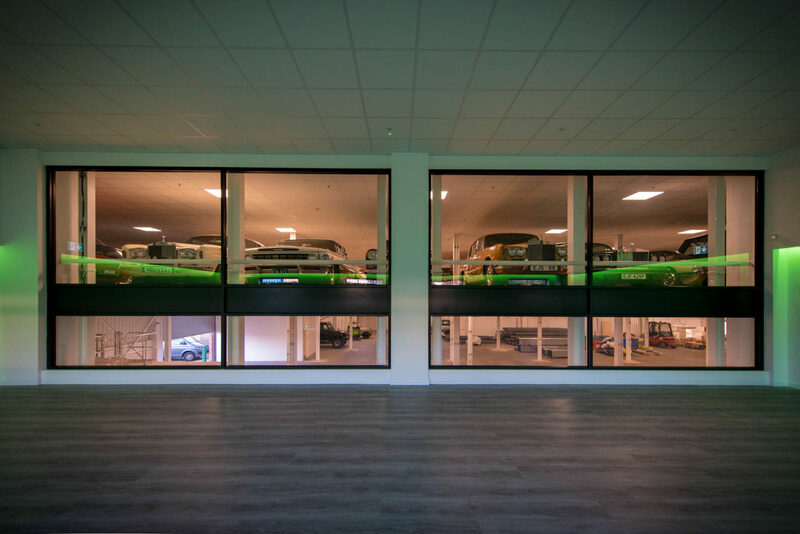 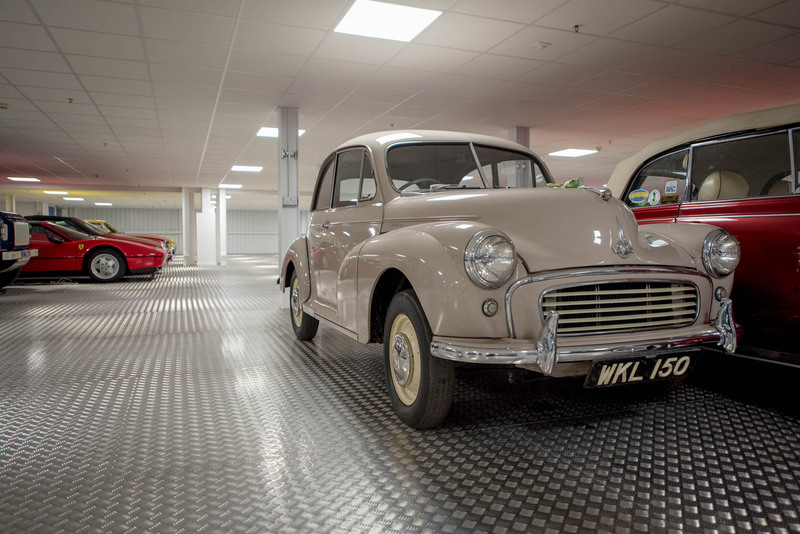 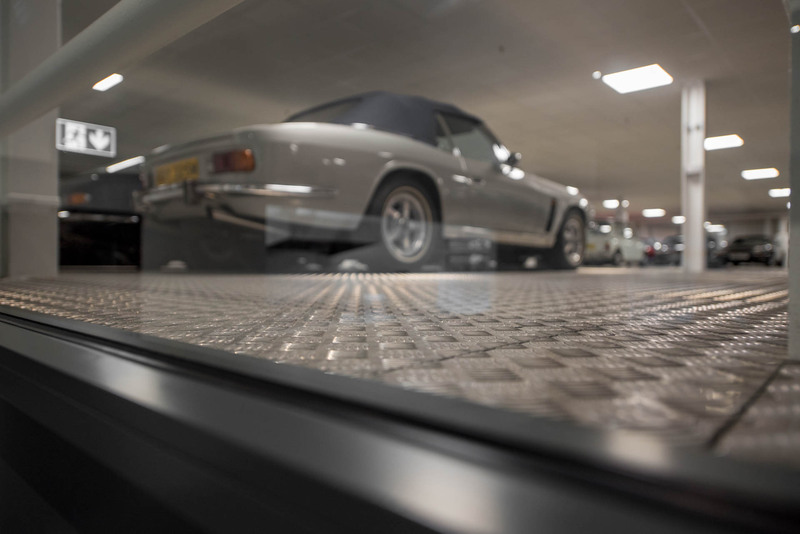 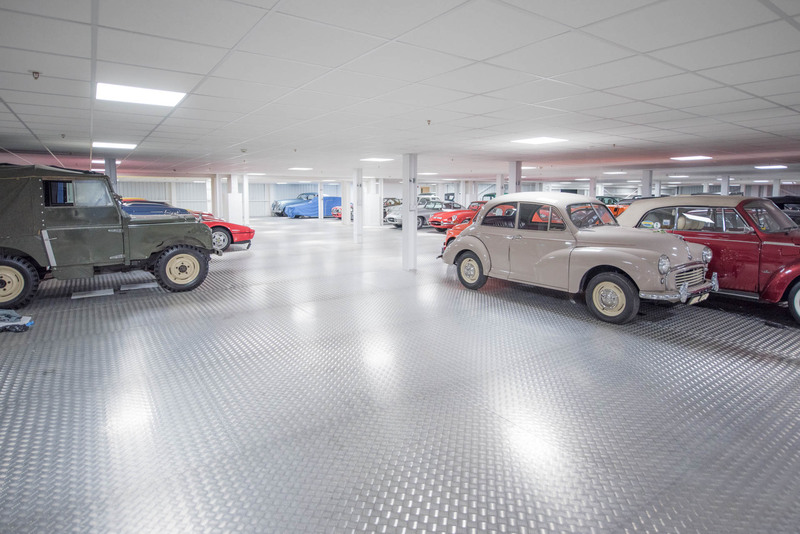 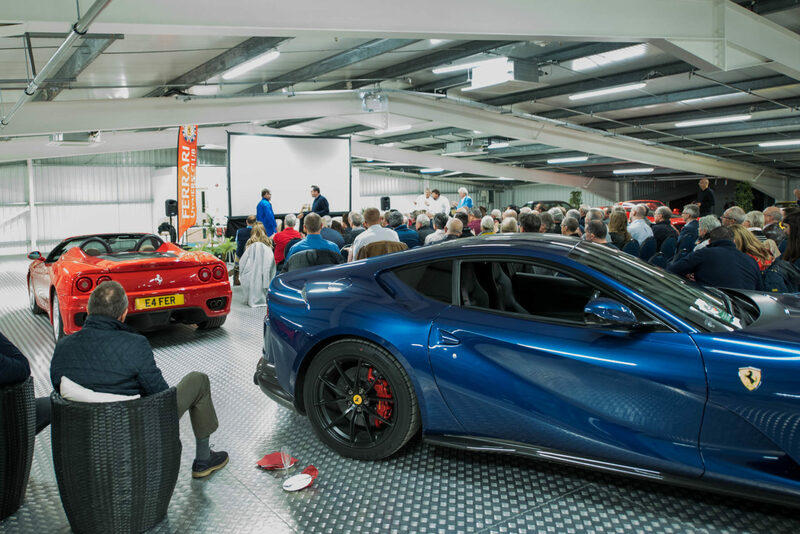 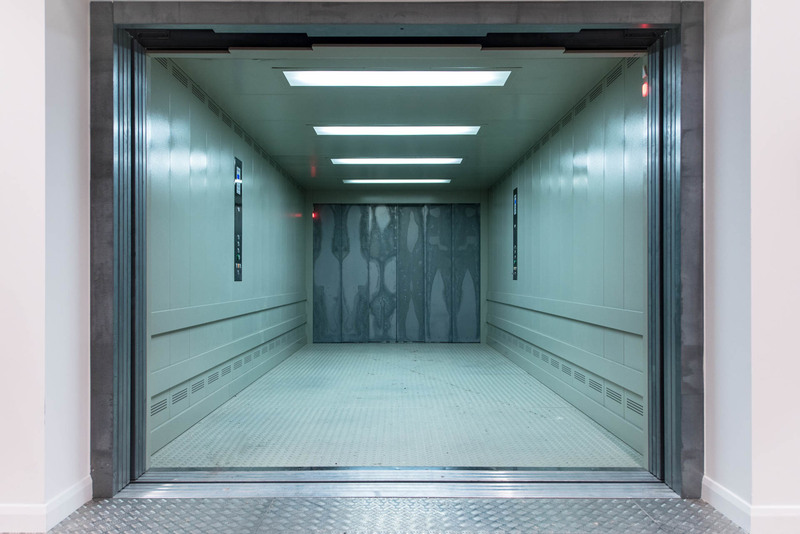 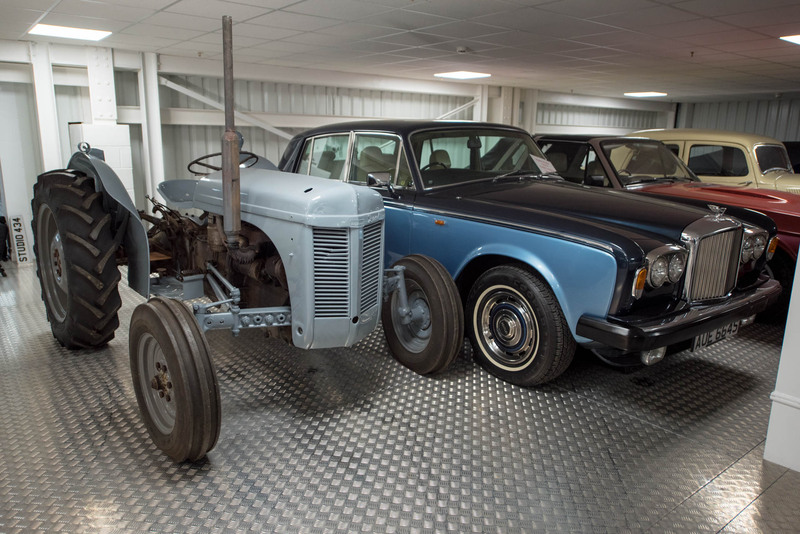 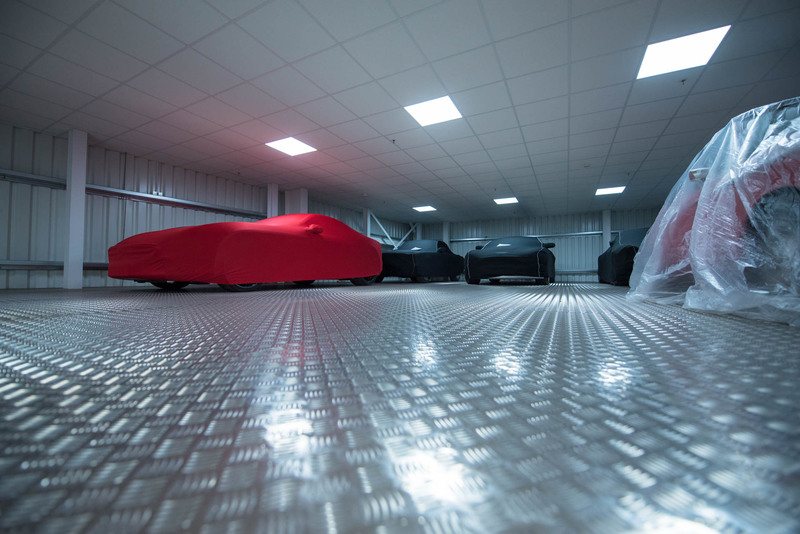 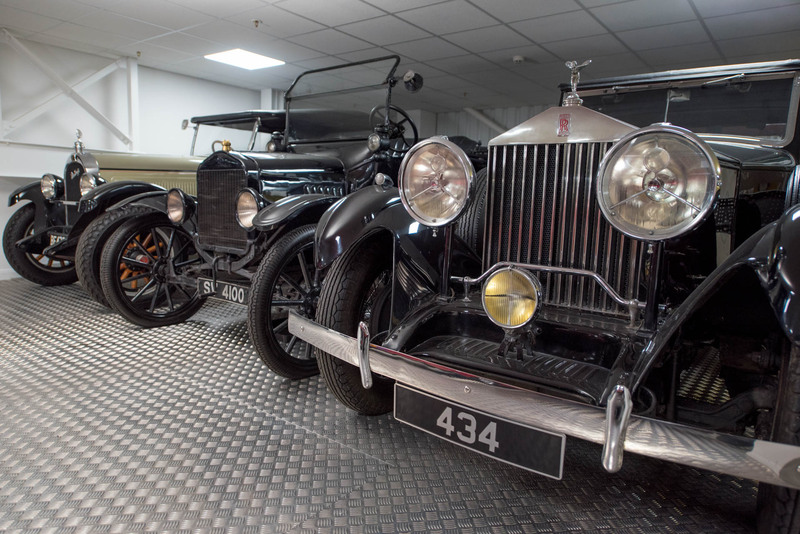 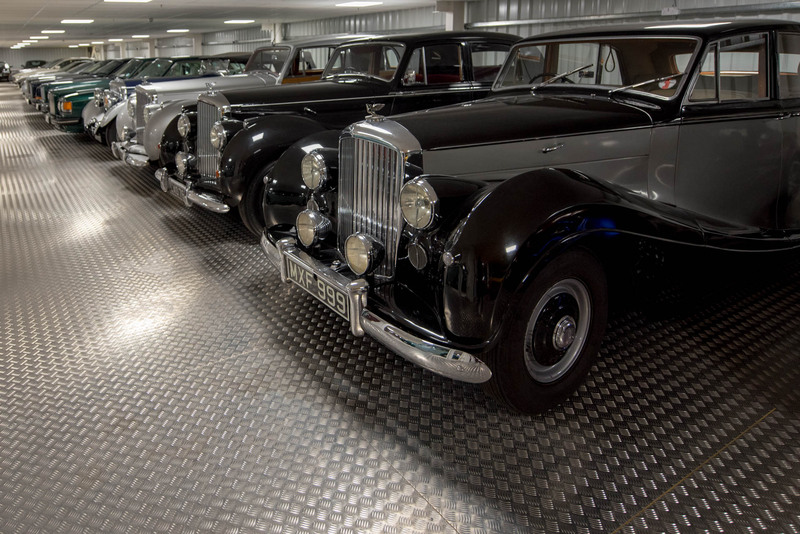 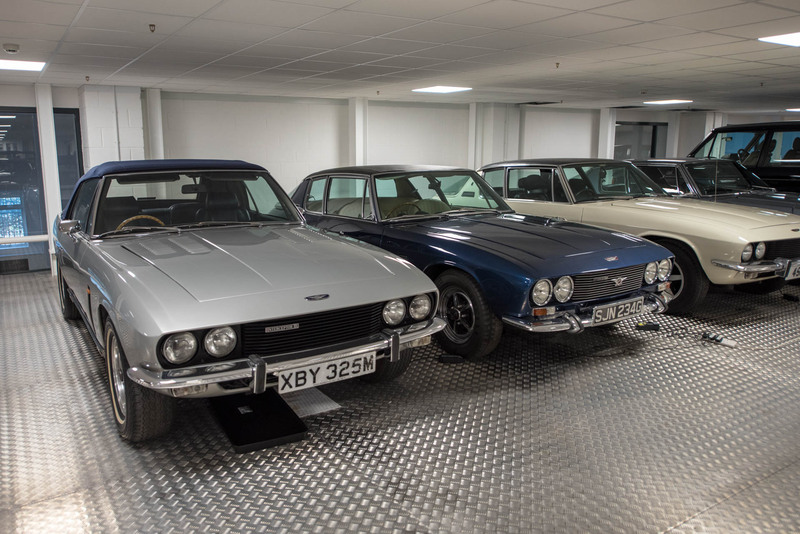 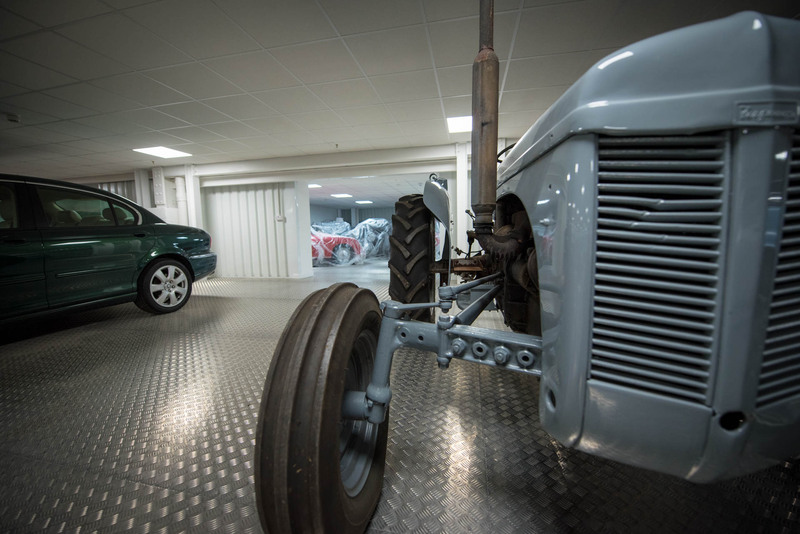 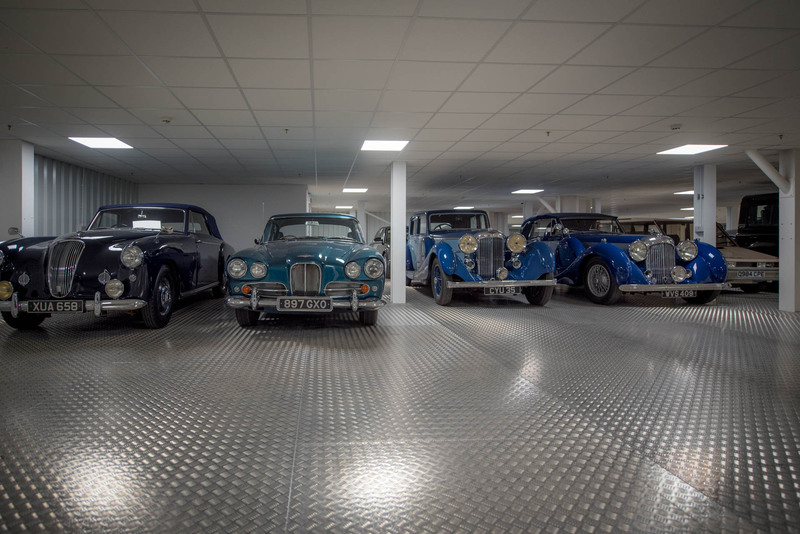 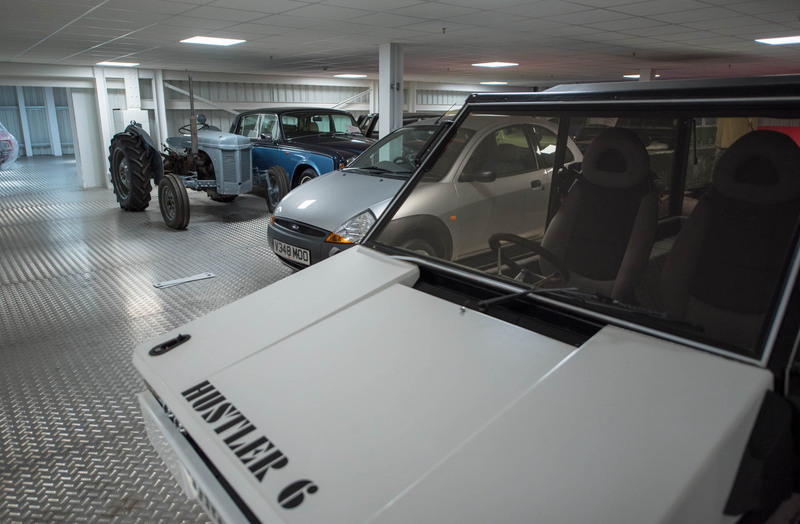 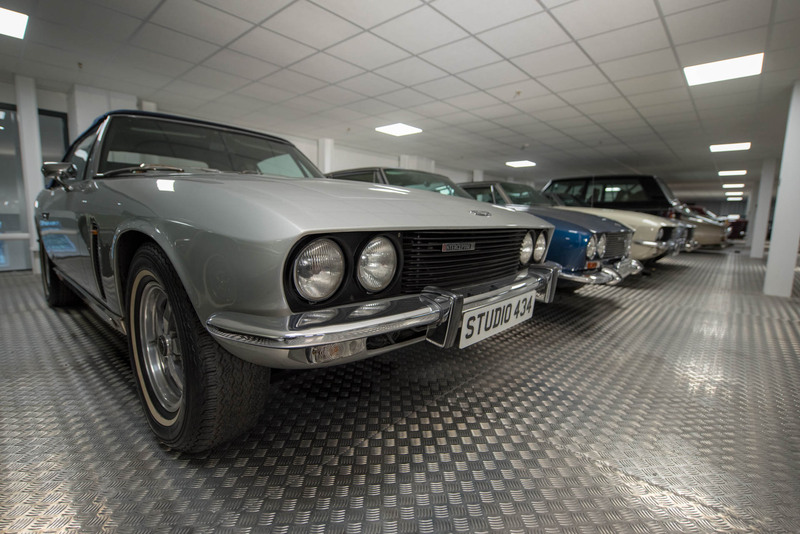 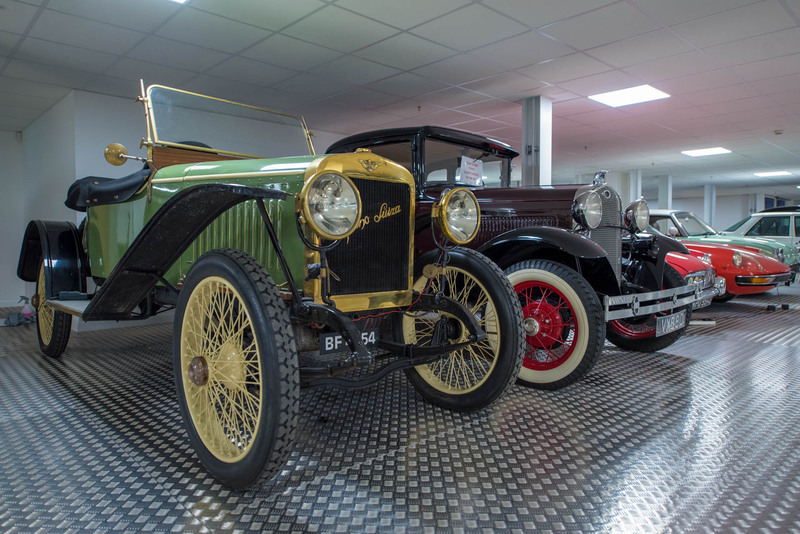 Spread over five floors, all connected by two purpose-built car lifts, Studio434/2 offers a climate controlled, secure and safe storage space that can accommodate over 500 cars. 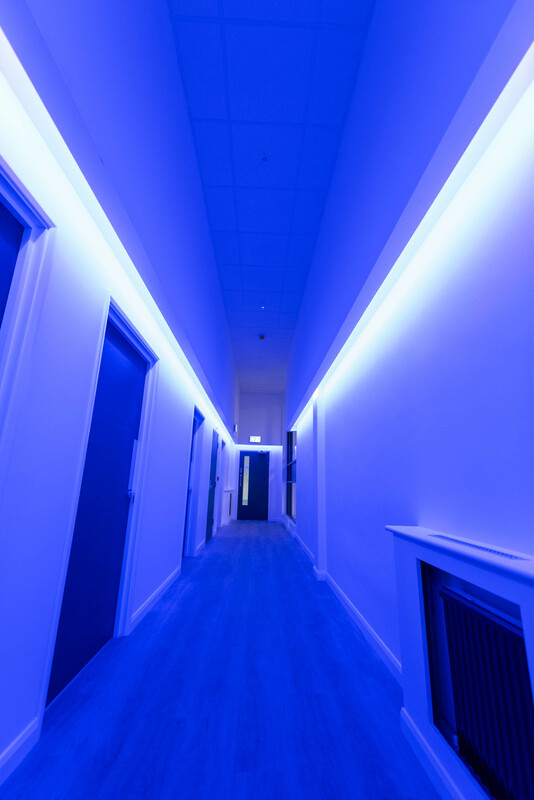 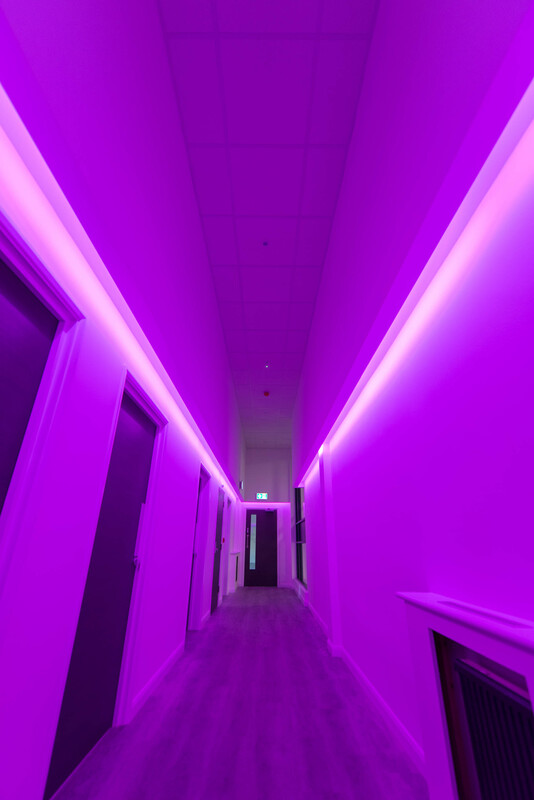 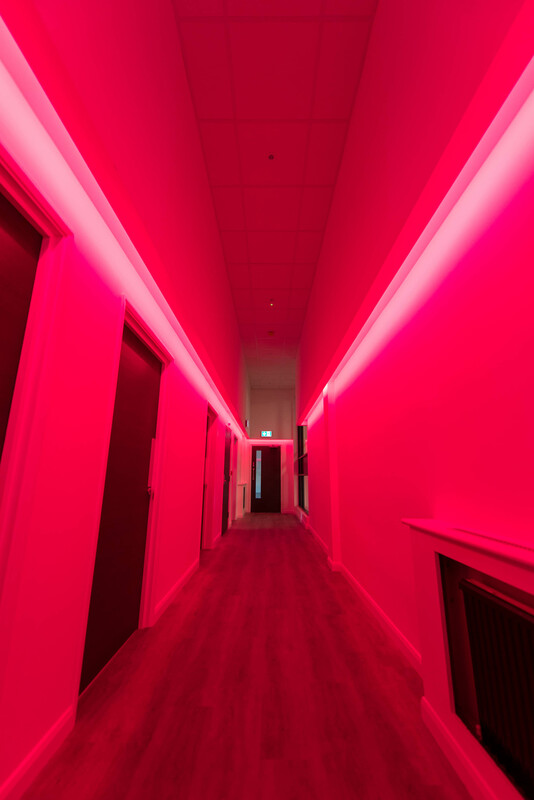 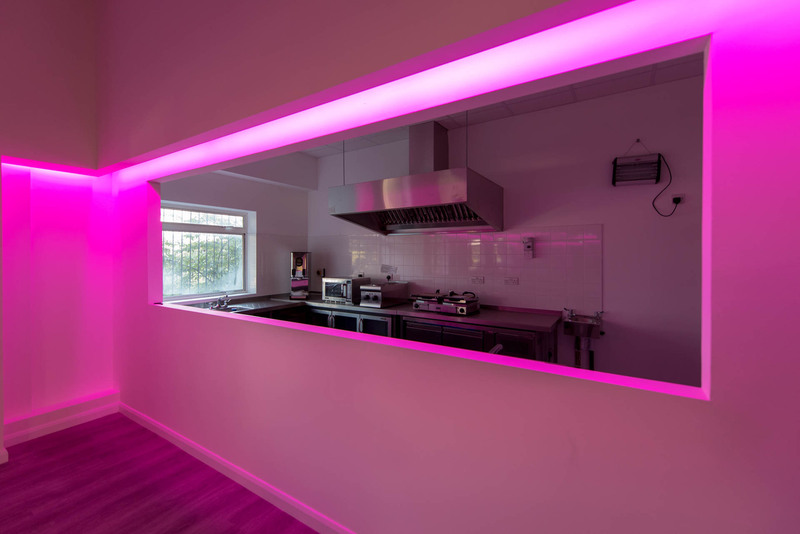 It also contains a large film studio, a major event space and conference rooms with supporting catering facilities and a self-contained flat, all fitted out to the highest standards. 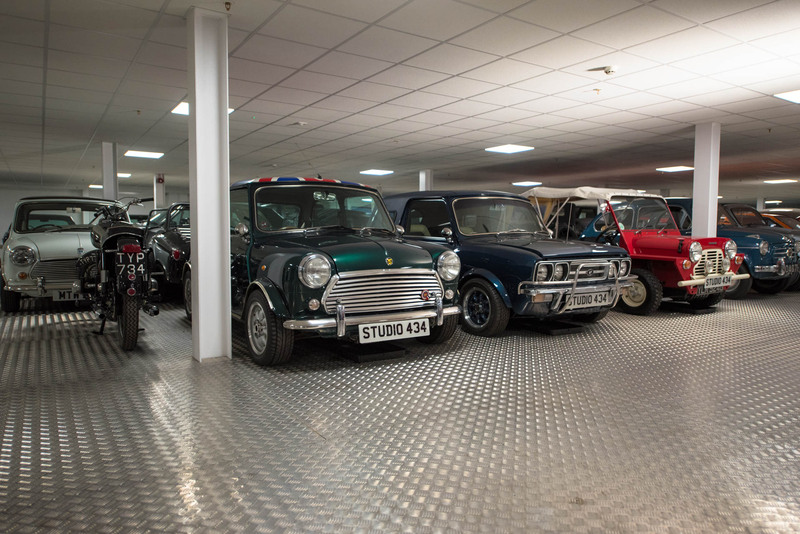 The ground floor is primarily a vehicle storage space. 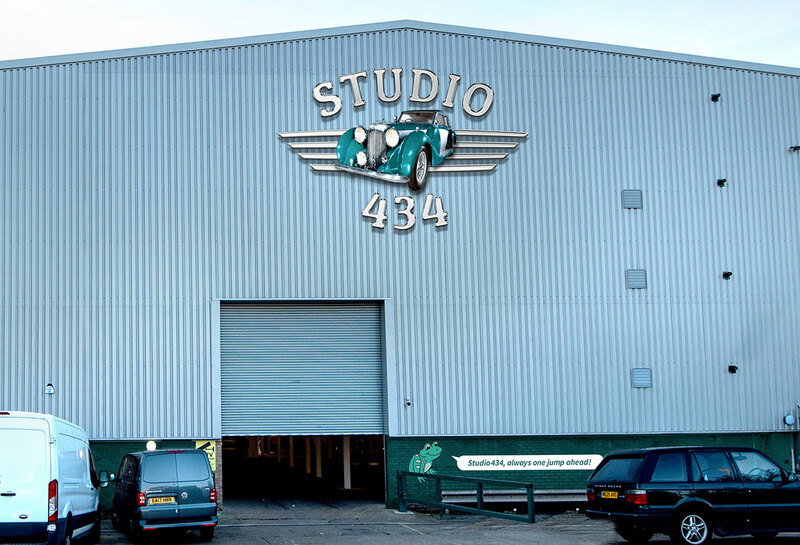 It also houses the film studio with an associated production space and offices. 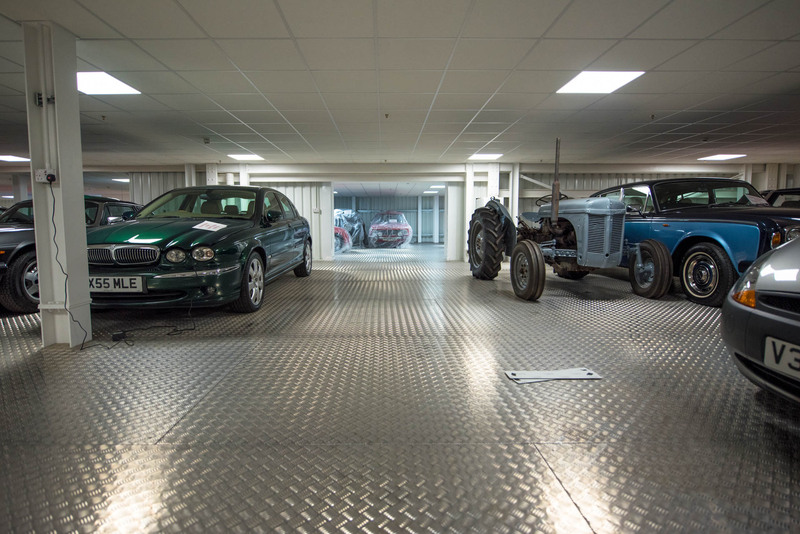 On the first, second and third floors, the steel floored storage spaces are adjacent to wooden floored event spaces with a unique glass wall looking on to the stored cars. 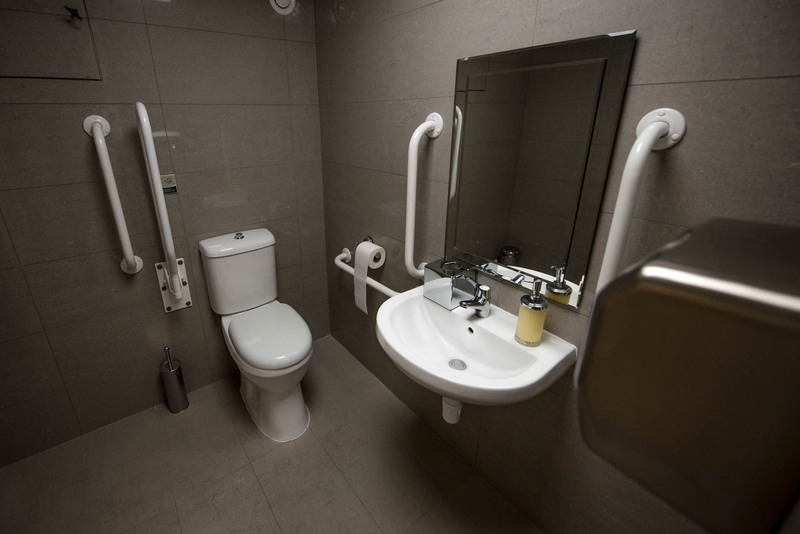 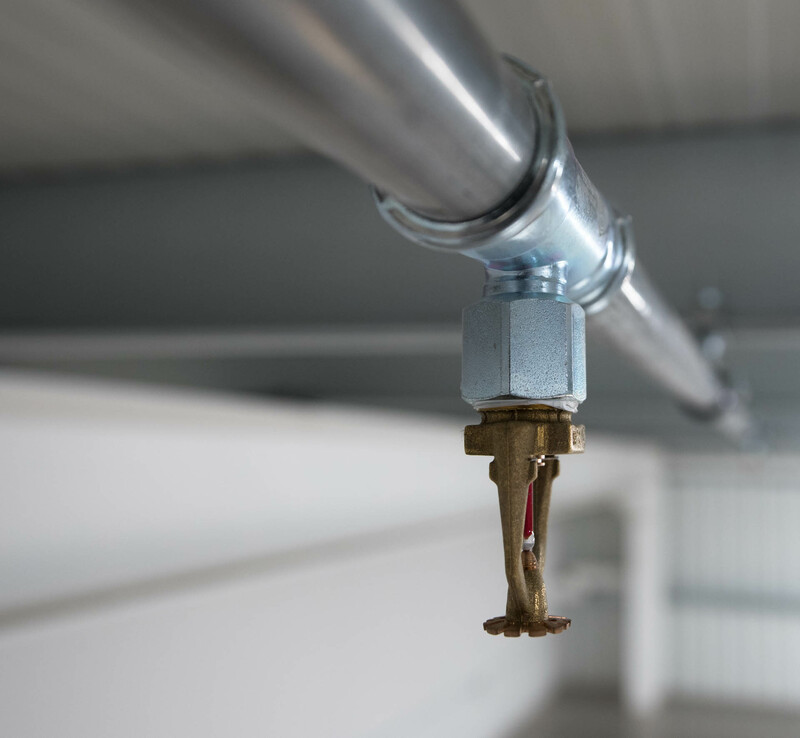 These event spaces have dedicated professional kitchen areas and toilet facilities for male, female and the disabled all fitted out to the highest standards. 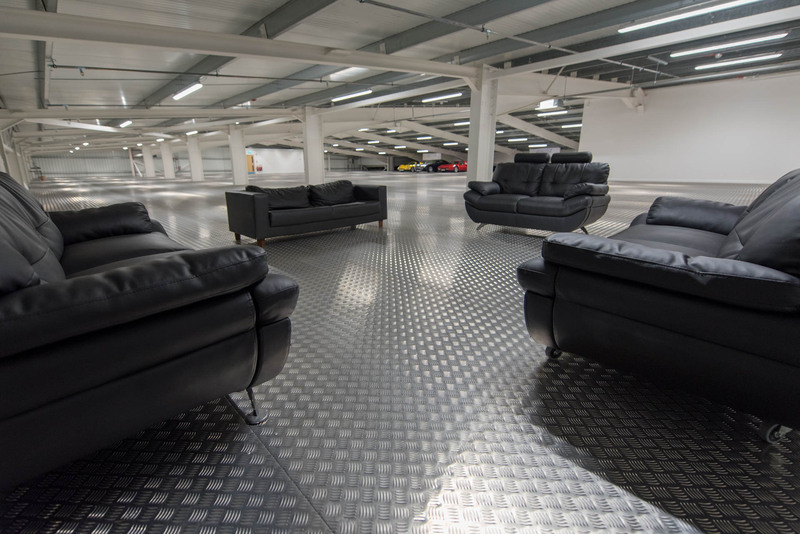 A luxury self-contained flat is at the rear of the event spaces. 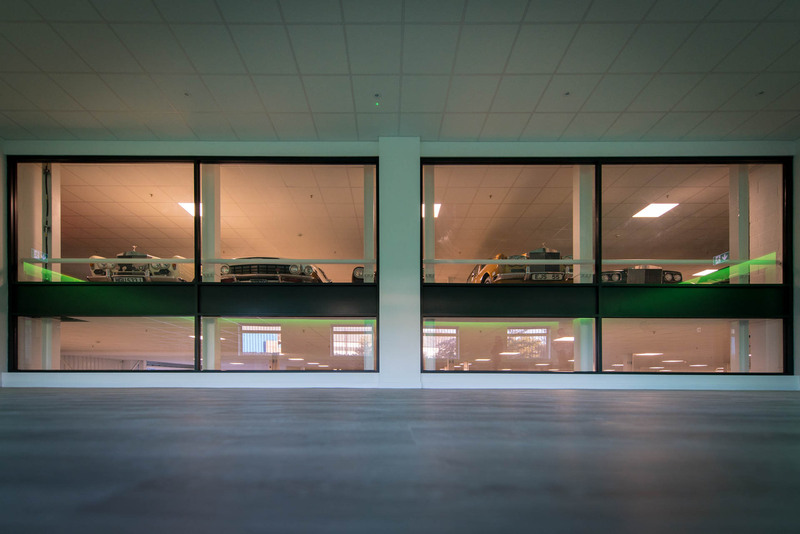 The top floor is purpose-built for large events. 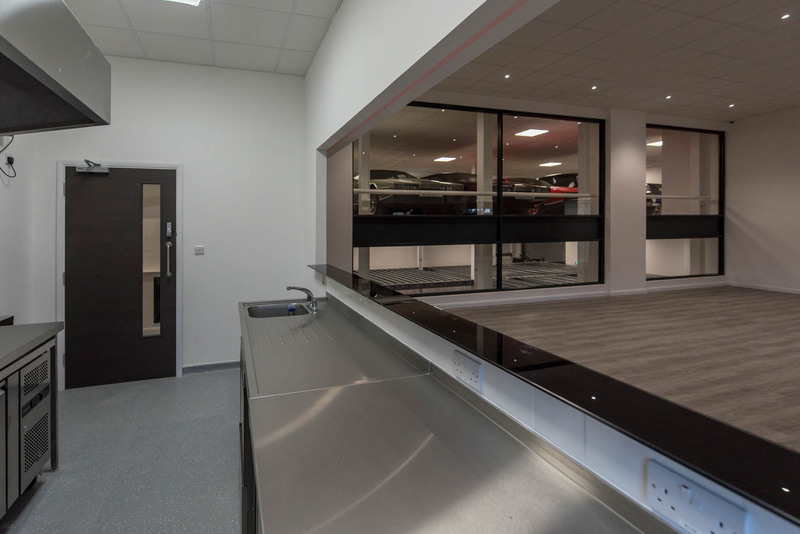 Steel floors heighten the impact of the lighting and the angled ceiling enhances the overall acoustics. 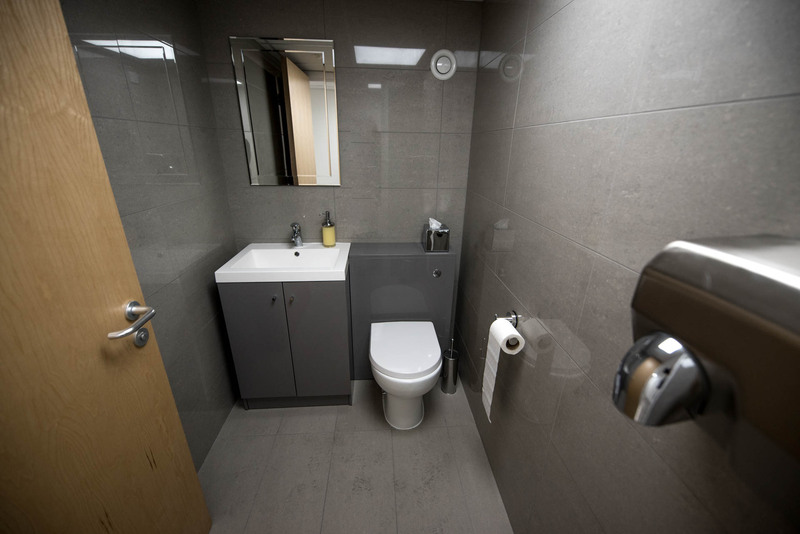 Like the event spaces on the floors below, there is a dedicated catering kitchen and toilets fitted to the highest standards.